This unit allows students to practice realistic device operation using AHA recommended training scenarios. An identical graphical operator interface and complete audio and visual prompts mimic the AED Plus in its look and operation. Screen messages, audible tones, and voice prompts guide the user through all aspects of the rescue from arrival on scene and calling for help to administering CPR and shock delivery. 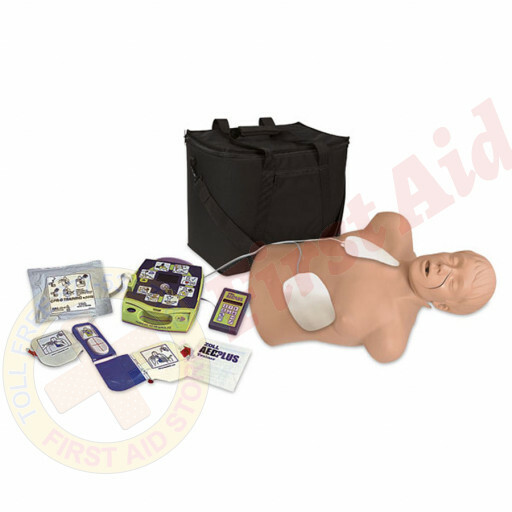 The convenient handheld remote control for instructor use is preprogrammed with the eight American Heart Association Heartsaver AED training scenarios and offers a manual scenario function, plus attach pads, low battery, and call-for-service simulations. 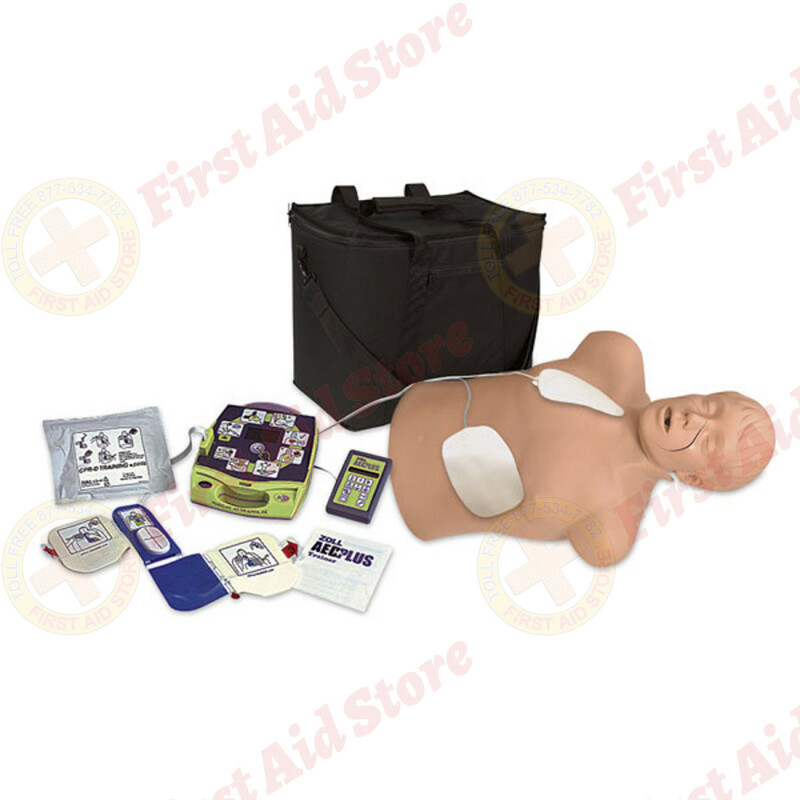 The training unit is powered by six “C” cell batteries (not included) or an AC adapter. Supplied with training electrode kit, training remote control, AC adapter, handheld cord, operator manual, administration guide, and one-year limited warranty. 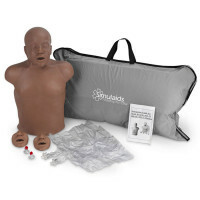 The Simulaids Zoll AED Trainer Package with CPR Brad Mannequin.